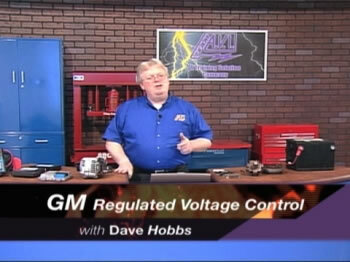 GM’s regulated voltage control systems changed in 1994 when they began using the BCM and the PCM. Before you try to tackle these newer GM systems you should refresh your memory with a review of the older charging systems. AVI and Dave Hobbs review the older systems and help you keep your voltage levels out of the red and your profits in the green. This course explains the old systems and the theory behind the new systems and how they affect your diagnostics. Dave goes into detail about load shedding and why it is important. He covers the different regulated voltage control (RVC) systems you will come in contact with and explains loads that are subject to shedding by the power mode master (PMM).